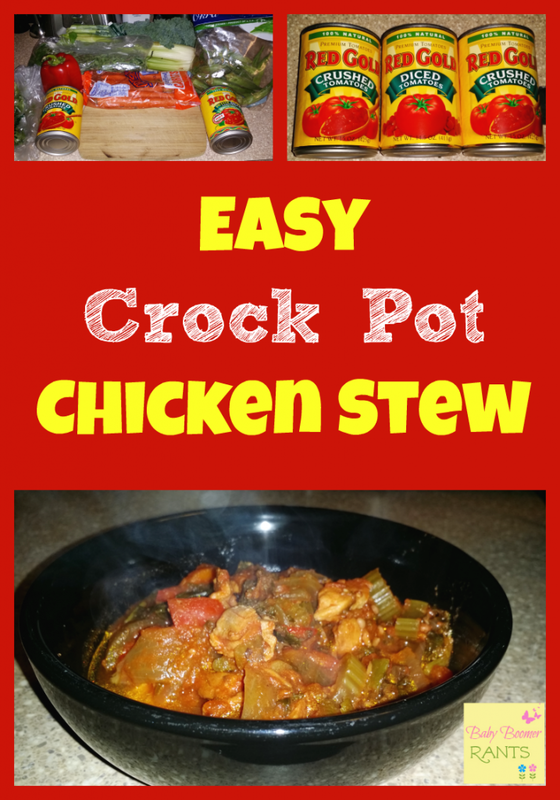 Easy Crock Pot Chicken Stew! 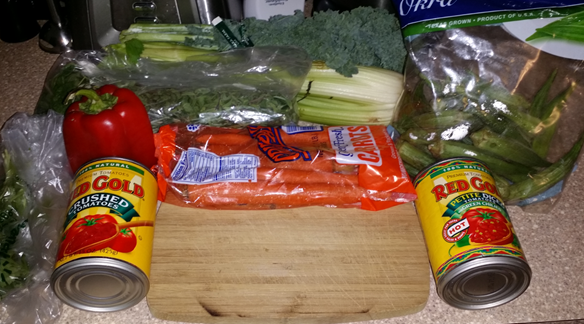 You are here: Home / Recipes / Dinner / Easy Crock Pot Chicken Stew! I love my Crock Pot – especially in the fall and winter – there are so many dishes that can be prepared quickly and easily with your Crock Pot! Not to mention the great smells they fill the house with as they cook! Hubby cooked a great Chicken Stew recipe the other night! Chop all ingredients to your liking, add them all to the Crock-Pot with your chicken and Red Gold Tomatoes, cook for 6 hours and you’re done! Love Red Gold. Thanks for the giveaway! Signed up for Baby Boomers Rants daily email. Following BAby Boomers Rants on Pinterest. Like Baby Boomer Rants on Facebook.